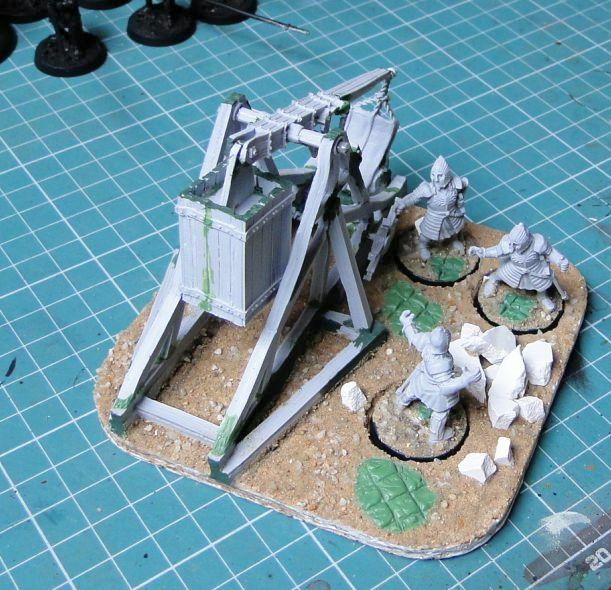 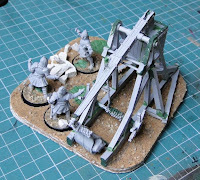 That is, working with GW's finecast... After putting together the Trebuchet, I prepared a small scenic base for the war machine and its crew. 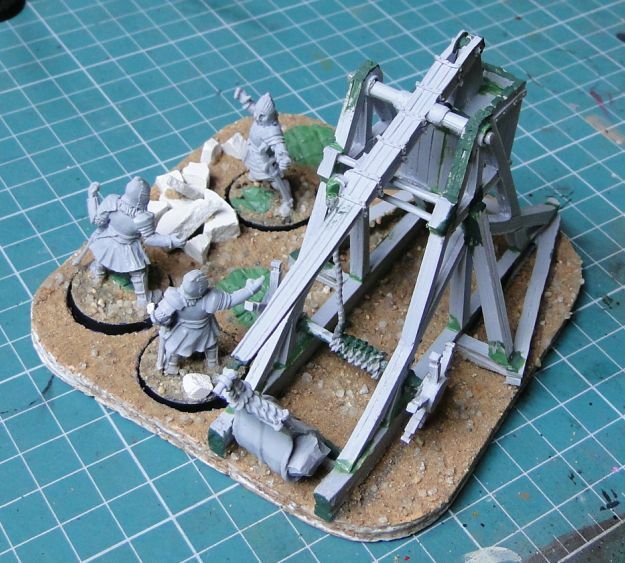 Something to add more dynamism and draw attention away from model's imperfections. That's how it looks like at this stage.